Before you agree to use any mover, always get a written moving company quote. The quote process is not just important to help you find an affordable mover and plan for the cost of your move. It’s also an important step in evaluating the mover and documenting the arrangements so you get the move you want, on budget and with no unpleasant surprises. Going through the quote process is a chance to evaluate the mover, too. Making a good choice of mover can save you money, protect your belongings and make your move much less stressful. During the estimating process, the moving company will take a look at the items you plan to move to figure out the load size, estimate how long your move will take, and evaluate any fragile or difficult to move items. They will use this information to put together a move plan, including things like movers and equipment, how long it will take, and special arrangements, such as crating or handling of fragile or specialty items. From this, they will provide price estimate for your move. Binding Not-To-Exceed Estimates – with this type of quote, the mover offers an agreed upon price per pound. During the in-person quoting process, the mover will decide upon the estimated weight of your belongings, and that determines the price for your move. Even if your actual weight exceeds the estimate, the mover is bound by the original price. If your load weighs less, they will adjust the price accordingly. This method is favorable because you know you won’t be surprised by extra cost because of estimation errors. Fixed Price – is when the homeowner agrees to pay a fixed price, no matter what the final weight of their furniture and other belongings. Consumers should be mindful of ‘highball’ estimates and keep in mind that on the actual day of the move, the truck driver has a right to change the fixed quote if he believes the quote was too low. Non-Binding Quote – is a straightforward agreement on the ‘price per pound’, where the final weight is taken after loading. If under-estimated, this could leave the customer with an outstanding balance for overweight moves, up to 10% higher, which must be paid within 30 days. Plan to obtain at least two moving company quotes for comparison, before deciding which moving company is best for your move. The in-home estimate is a great time to ask questions and check out the moving company. As the homeowner, preparing for your in-home estimate will make the quote process and the final move much easier. If you have items you will not be taking with you, separate them or place a sticky note to avoid confusion during the estimation process. Knowing exactly what will be moved and what items will stay behind will make for a more accurate moving quote and save time during the process. Have questions ready to fully understand your mover’s pricing and methods, such as – how is the final price calculated? What is the cost for boxes, packing and any other added services you may need. Don’t forget to ask how the company will handle any fragile or special care items that will be moved. Discuss what the actual moving day will look like, such as the number of movers to be expected; the start time and estimated finish time; and any special equipment or access needed. Use this time to evaluate the competence, honesty and general approach of the moving company. Their overall professionalism and an easy-to-understand written estimate can help you decide. Before you make a final decision on selecting a moving company, make sure your mover is licensed and insured. You can get that information from their website or paperwork, or you can check out their license on the Department of Transportation website. Look for a Promover Certified mover because they have met quality and ethical standards of the industry, giving you peace of mind when you work with them. Never do business with a mover who asks for cash up front. Like many things in life, the mover with the lowest price is not always the best choice, so use common sense in making your final choice. Expect a full service moving company to have a bill of lading prepared on your expected move date to serve as a contractual agreement. The information contained should be consistent with the moving service order from the in-home estimation process. Check the bill of lading to see that the services discussed and quoted are accurately represented and all charges agree with what you expect from the moving company quote. The bill of lading is required by law, so if you don’t receive one prior to your move, you should look elsewhere for moving services. Additionally, you should also expect documentation concerning insurance coverage, the terms and conditions of payment, the address you are moving to, the mover’s contact and vehicle ID information, including for any other moving companies involved (so you know who has possession of your items), and the service dates for pickup or delivery. A complete bill of lading is a sign of a quality moving company and will protect both parties in case of a disagreement. Have your mover explain anything you don’t understand. 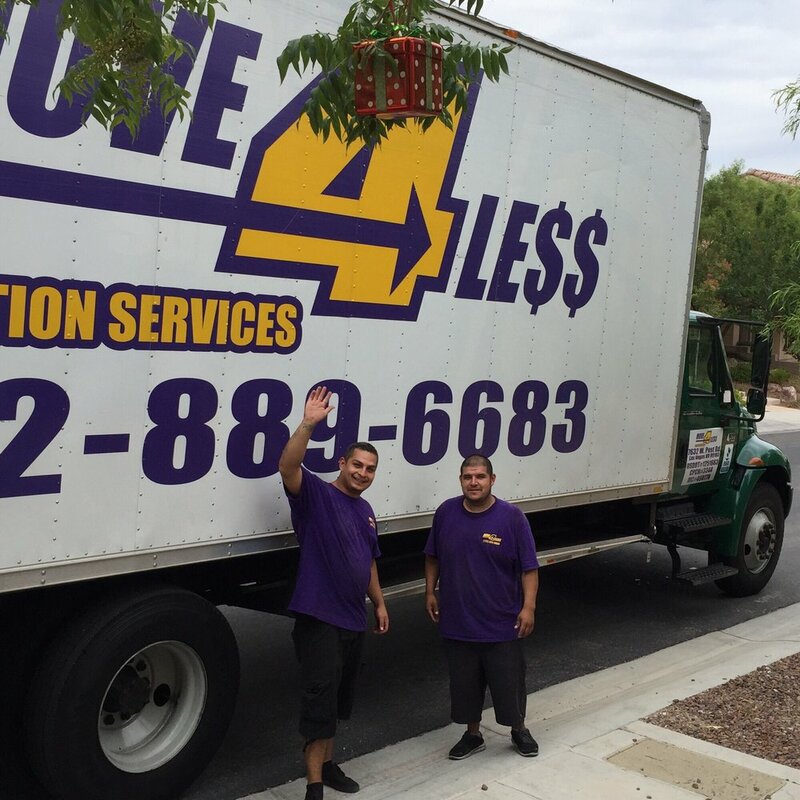 If you’re planning a local or long distance move, call Move 4 Less for a free, written estimate. We’ll do an in home estimate and go over all the details of your moving quote with you. Our professional, trained, experienced movers have moved thousands of Southern Nevada families and will take great care of yours when you move. For more information, call our move counselors at 702-889-6683.